Scheduled Publishing Date for the next lesson! The next lesson has already a scheduled publishing date which will be the 21st Nov 7PM, London time! It’s the missing lesson no 16 and its title is: Elaine and Kieron at Sabine’s and Christians Wedding! I hope you will be looking forward to this! 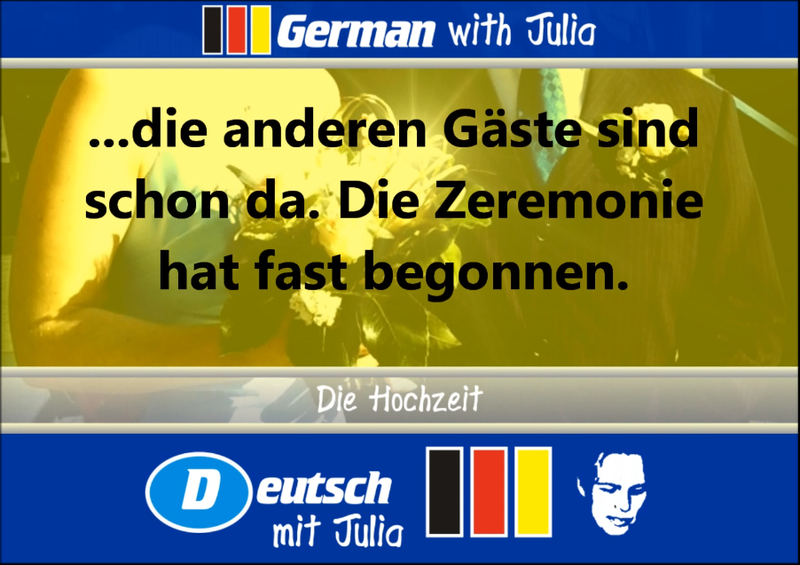 Learn with fun, learn with success, lern’ Deutsch mit Julia! Die nächte Übung hat bereits ein Datum für die Veröffentlichung. Es wird der 21. November, 19 Uhr nach London Zeit sein! Es handelt sich um die noch fehlende Lektion 16 mit dem Titel: Elaine und Kieron auf Sabines und Christians Hochzeit! Ich hoffe ihr seht dem schon entgegen! 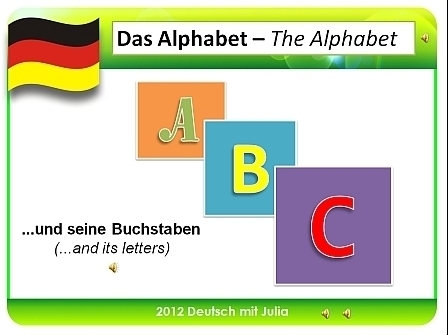 Lern‘ mit Spaβ, lern‘ mit Erfolg, learn German with Julia!